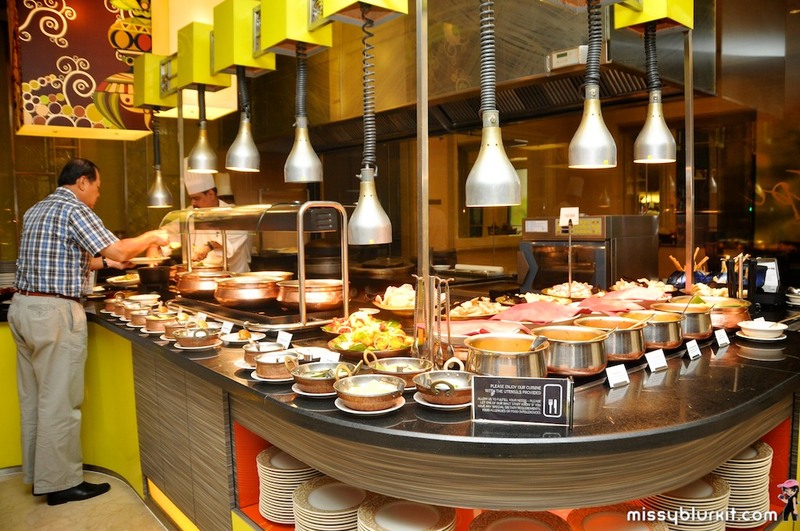 Checked out my first buffet CNY makan makan @ Latest Recipe in Le Meridien. 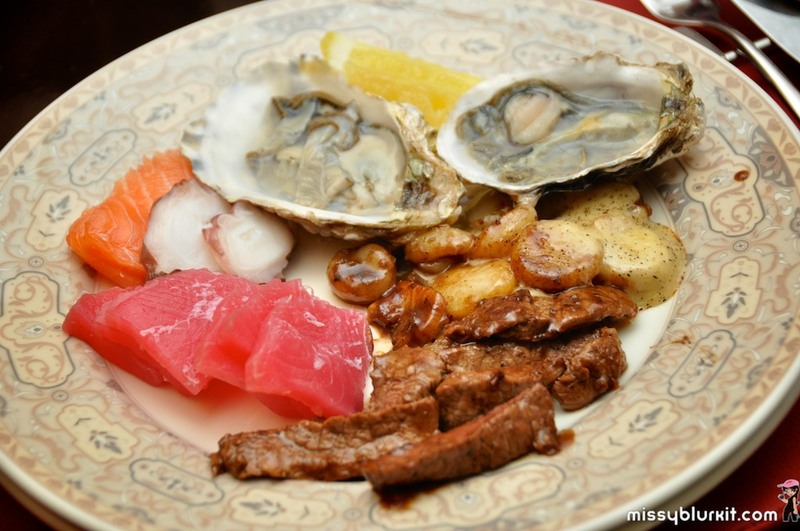 The idea of CNY buffet is something quite new to me since all my meals whether reviews or dining with friends and loved ones were always a sit down round table type. I admit that I was curious! 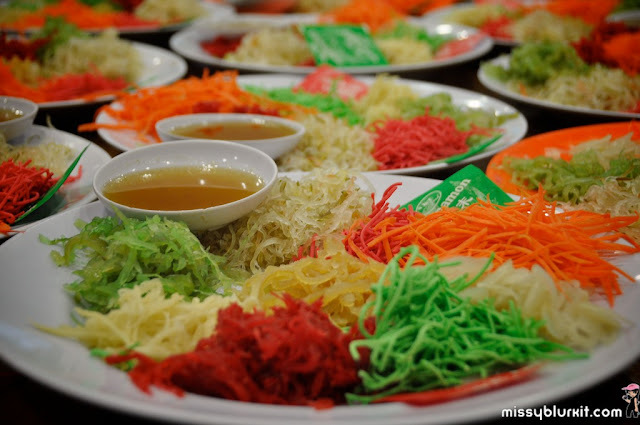 I must admit that I didn't expect a CNY buffet to include yee sang. However the folks at Le Meridien are giving a Salmon Yee Sang for every 10 paying adult diners. I will say that even though the Salmon Yee Sang was simple, this is one simple and tasty yee sang with thick cuts of salmon. 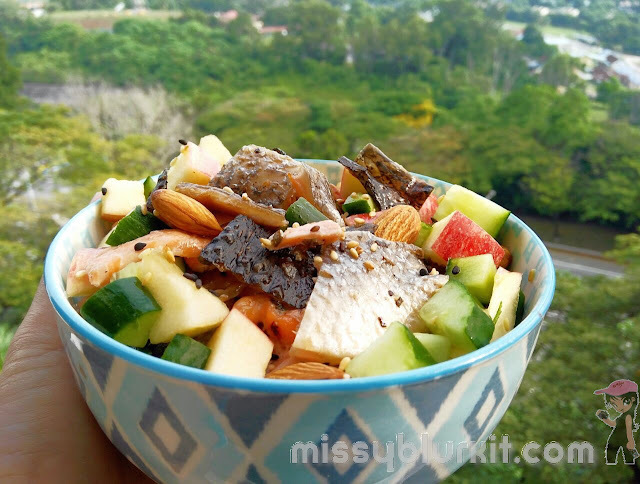 But its lots f fresh vegies and most importantly thick fresh cuts of salmon sashimi! 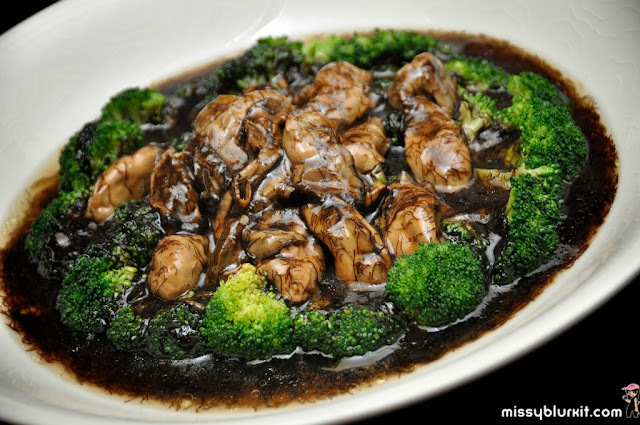 Steamed Sun Dried Oyster with Sea Moss and Broccoli had lots of the auspicious sea moss which is also known as fatt choy. The oysters were nice and plump even though they are sun dried oysters! Definitely my favourite dish for the night and I must say perhaps one of the best smoked duck that anyone of us at the table have ever tasted. 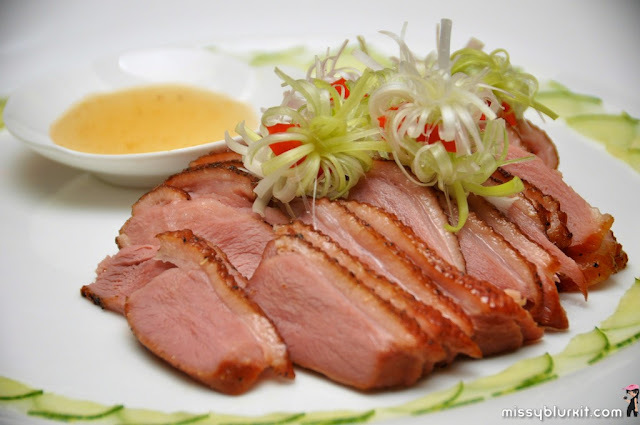 Smoked by the chef himself, the duck was flavourful, smoky and most importantly moist and tender. Wok-fried Fresh Prawn with Sweet Chilli Sauce is a must have if you love prawns or even spicy prawns. 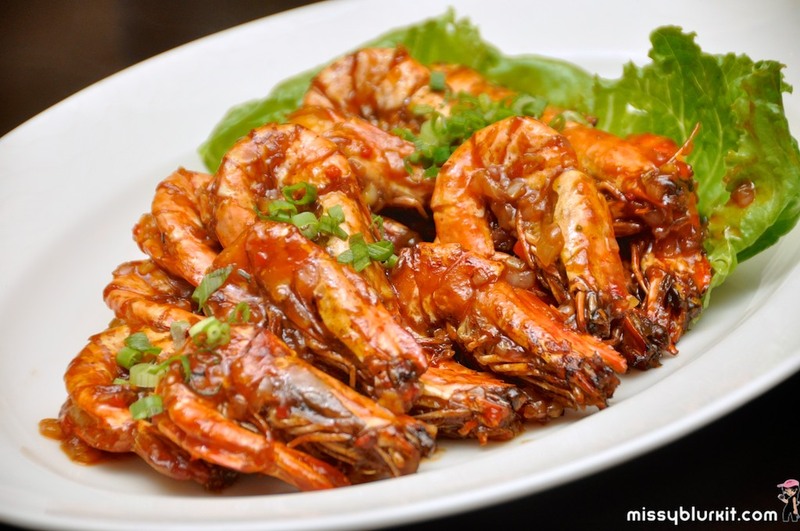 A lovely blend of spices that enhances the natural sweetness of the prawn. Finger licking good if I may add! Steamed Chicken Guava Dumpling with Oyster Sauce and Ebiko does look a little like a yellow chrysanthemum to me. 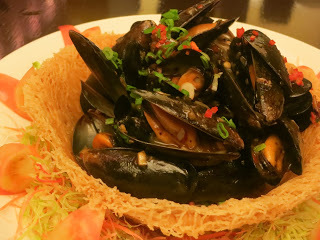 This photo of the Wok Fried Green Mussels with Black Bean Sauce is from Sarah as I was busying myself elsewhere when the dish arrived:D An extraordinary dish with a lovely and unique sauce made of black beans, garlic, lemongrass, ginger and chili. The mussels are lovely and plump with each mussel coated with the delicious sauce. 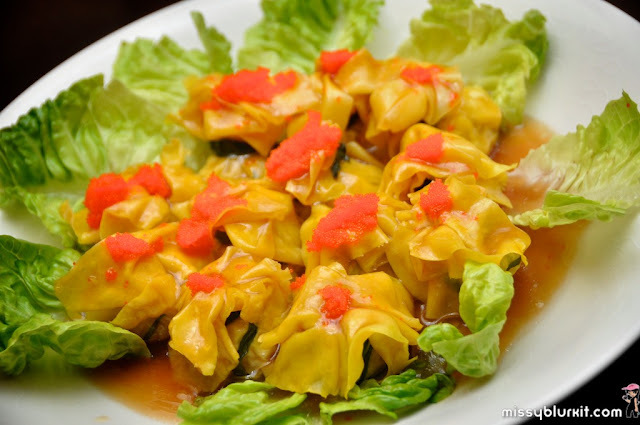 Like the Wok-fried Fresh Prawn with Sweet Chilli Sauce, do not be surprised that you have a plateful of shells as this is a very addictive dish that will have you going for more. 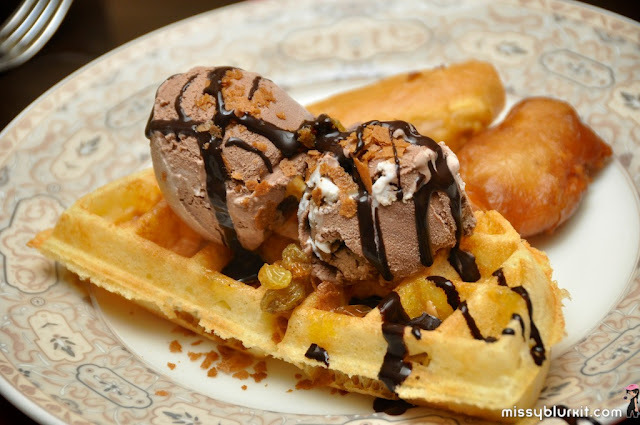 Take your pick of Indian and Malay yummies too! 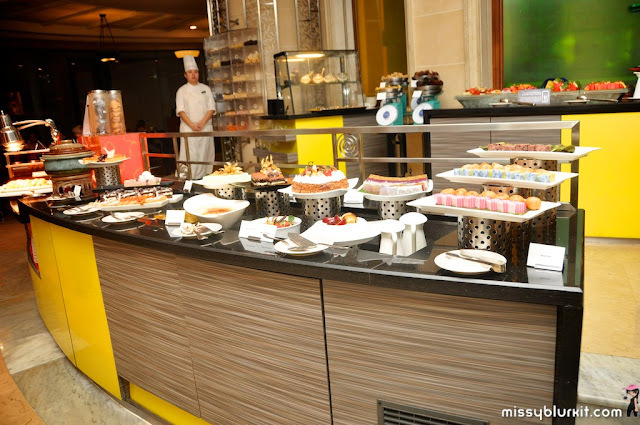 Dessert and fruit galore awaits you! A little too stuffed but I made room for my fave fruits. 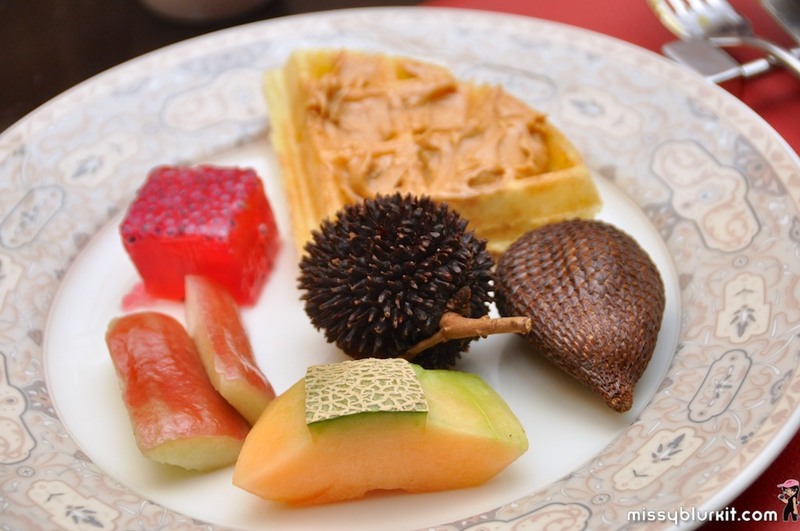 I have to say I was super pleased and surprised to see pulasan and buah salak on the buffet line! Love waffles? Then save more room for it! 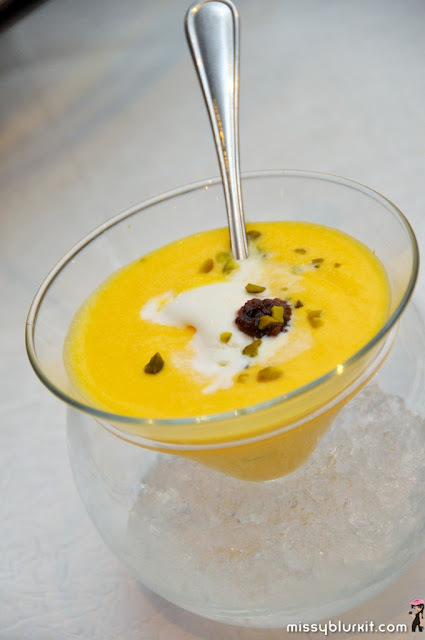 Awesome with ice cream. Even better with peanut butter! • A surcharge of RM10++ is applicable for buffet dinners served from Friday 8th February to Sunday 10th February 2013. REMEMBER! 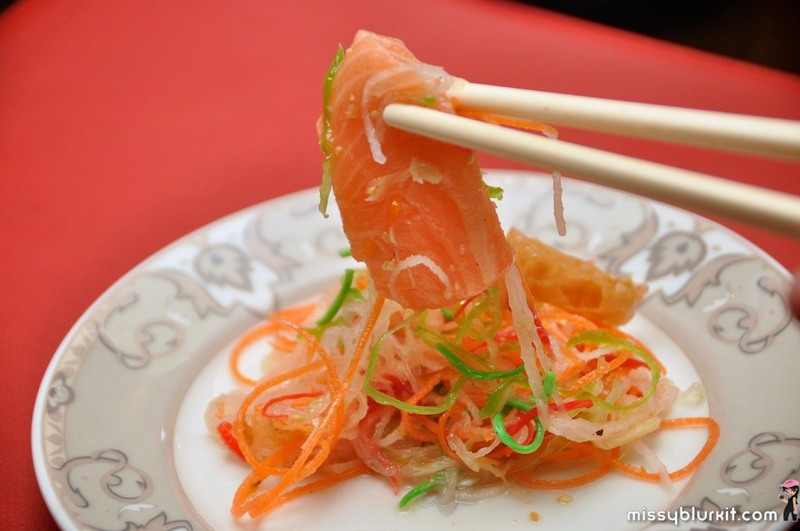 Salmon Yee Sang is given for every 10 paying adults. 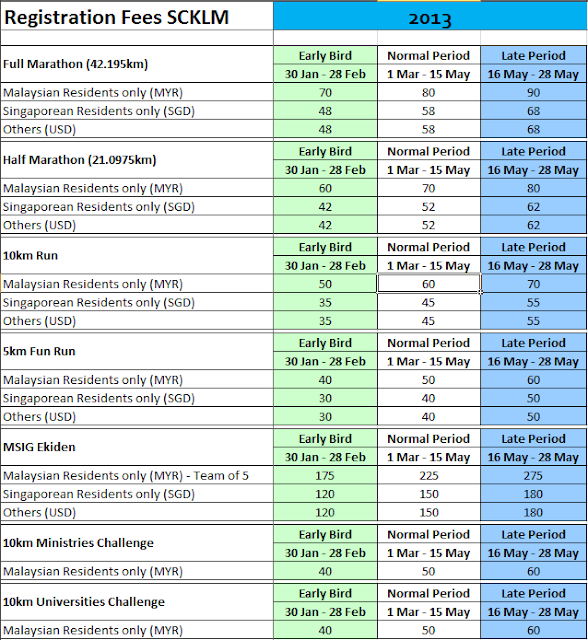 Registration for SCKLM 2013 Opens! My last Standard Chartered run was in Singapore last December for a 21km (read entries dated 1st , 9th and 23rd December 2012) and I am looking forward to running the same distance this year come 20th June 2013. The Standard Chartered KL Marathon celebrates its 5th year and registration opens in 4 hours today. Yes registration opens today 30th January 2013. Early bird pricing applies until 28th February 2013. So hurry and register your entry! Do it fast because previous experience shows that the registration closes way ahead of the stipulated deadline. 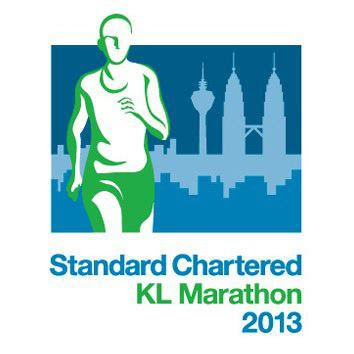 Following the overwhelming response, the Standard Chartered KL Marathon 2013 is looking forward to increasing the 2013 participation to 30,000 runners from all around the world. 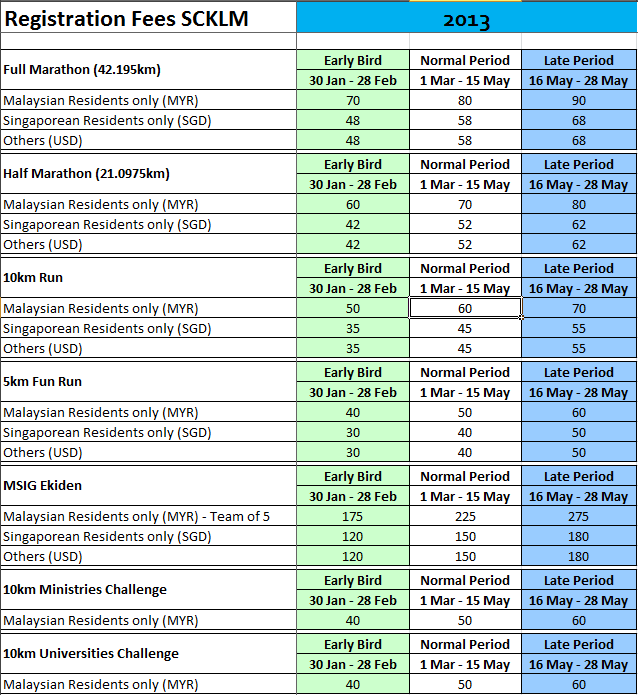 So hop over to www.kl-marathon.com to register NOW! And do connect with other runners via the Standard Chartered KL Marathon Facebook page at http://www.facebook.com/SCKLmarathon and keep up-to-date via twitter at @scklmarathon. Come the CNY, there's plenty of yee sang, lion dances, dragon dances and of course we all raise our glasses and cheer yumseng with our loved ones and friends. 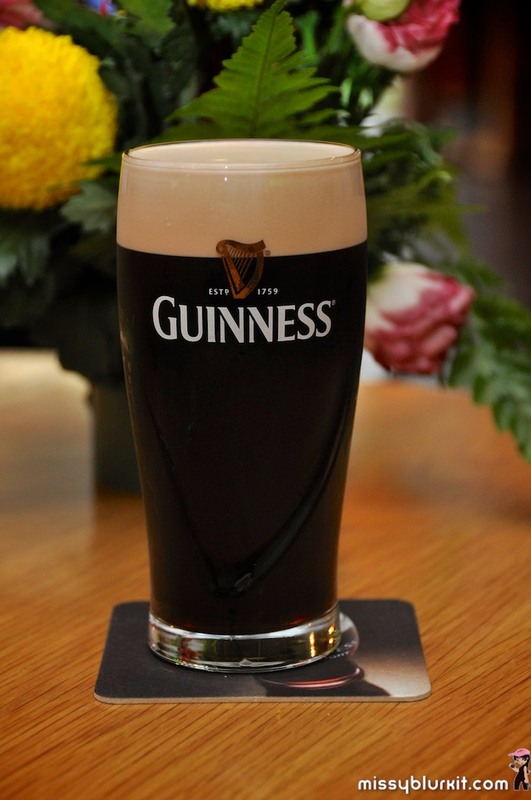 My all time fave would definitely the ruby red goodness of Guinness. Of course we also stock up the golden goodness of Tiger and Anchor for our beer loving folks. 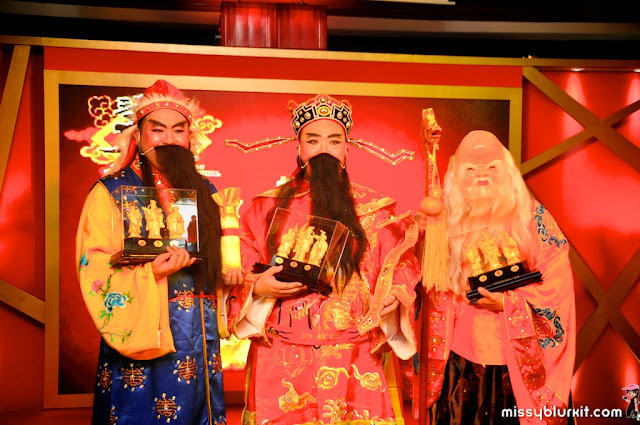 This year GAB celebrates the lunar new year with the iconic Fu, Lu and Shou. 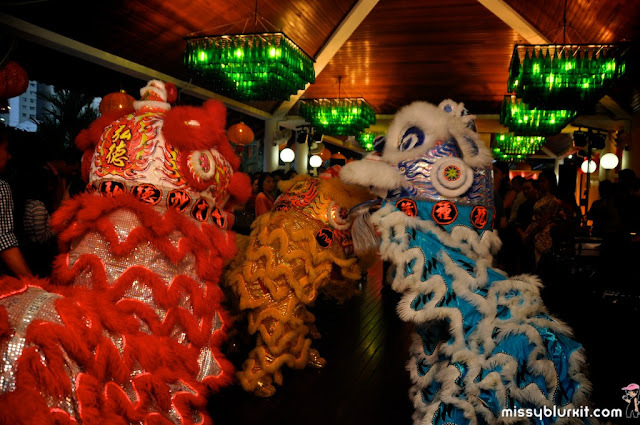 I confess that I always thought they were some kind of lion or dragons...until Viv explained to me they were the 3 characters that Fu (福), Lu (禄) and Shou (寿) represent fortune, prosperity and longevity. These lions are not fu lu shou! These are fu lu shou 福禄寿! 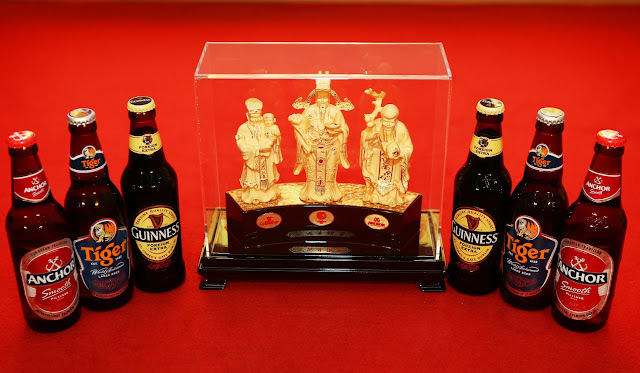 Throughout the festive season, consumers can check the bottle cap liners of any big bottle of Guinness, Tiger and Anchor to see if they have won one of 9 solid gold Fu Lu Shou sets worth RM 10,000 each, 999 gold-plated Fu Lu Shou sets worth RM 1,000 each or to redeem 18 bottle liners for a Fu Lu Shou set to usher in good favour, wealth and health throughout the year ahead. This year, GAB will also be organizing a series of charity dinners to raise funds for worthy causes such as for the refurbishment of the Chan She Shu Yuen Clan Association (陈氏书院) Hall as well as six other Chinese communities and villages across the country. These fundraising events will feature a Chinese dinner with Yee Sang and GAB’s iconic beers, great live entertainment and an all-round memorable time for all attendees, as well as a charity bazaar that also contributes funds towards the worthy cause of the dinners. I attended the first one held at SRK (K) Chung Kwo with lots of food, buzz and fun. 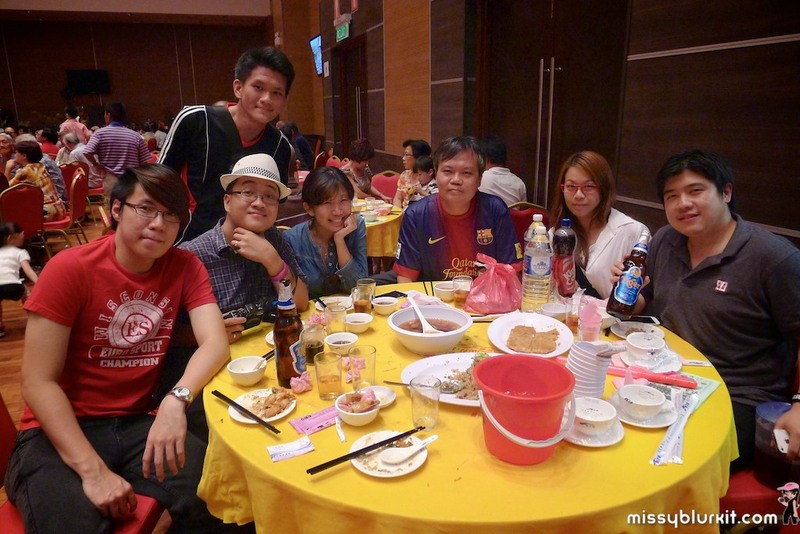 My first time taking part in a communal yee sang with at least 30 other tables of people. Braised pork trotter complete with peanuts and oysters. Totally auspicious dish as the uncle behind me keeps telling me. 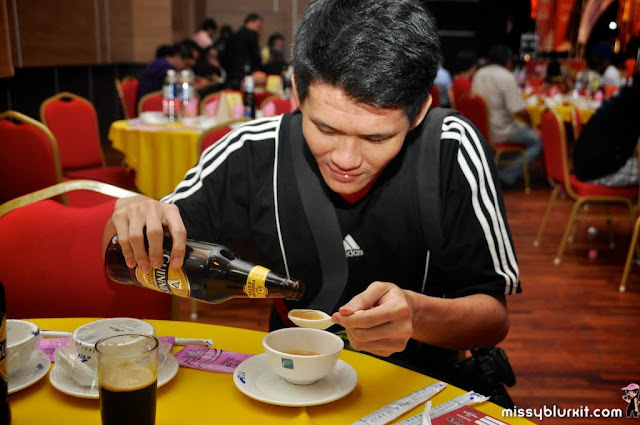 I learnt that Guinness goes really well with your braised soup served during Chinese dinners. You use it as a replacement for vinegar! Fu Lu Shou go gangnam style! Note the uncle in red tie on the left strutting his gangnam movements to win some awesome goodie from GAB. Dinner with the pals and our choice of Guinness, Tiger or Anchor. For more information on this campaign, please visit www.gab.com.my. I seriously don't get bored of yee sang. 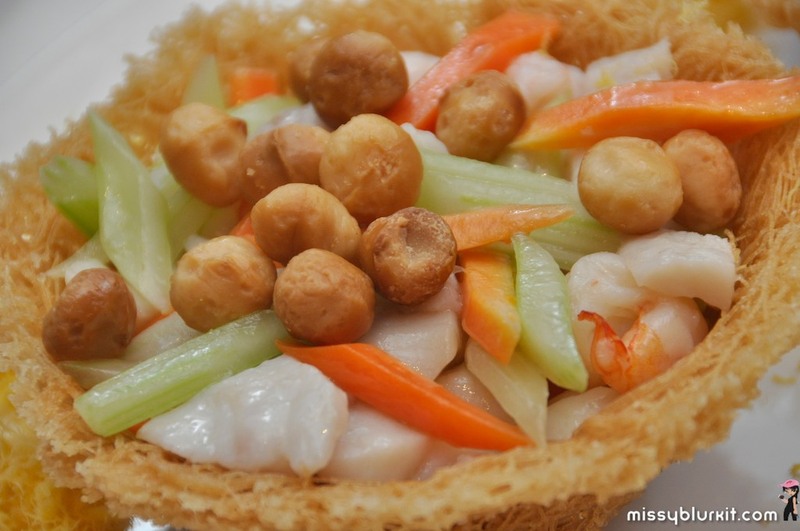 And the highlight for me is if the yee sang is made from scratch and consist of fresh ingredients. Celestial Court @ Sheraton Imperial Kuala Lumpur pretty much whipped out the yee sang with a choice of fresh ingredients and even made the necessary crisp also known as "pok choi"
Our yee sang was a combination of crispy soft shell crab, slice salmon, Japanese octopus served with mango plum sauce. 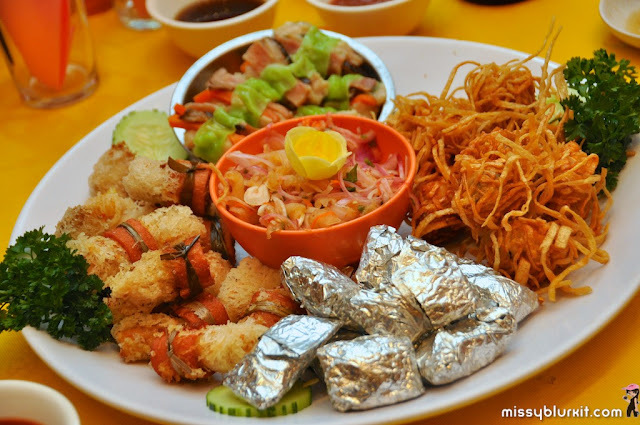 You can also opt for for something tangy and spicy taste with Yee Sang with Abalone served with Spicy Thai and Orange Sauce. 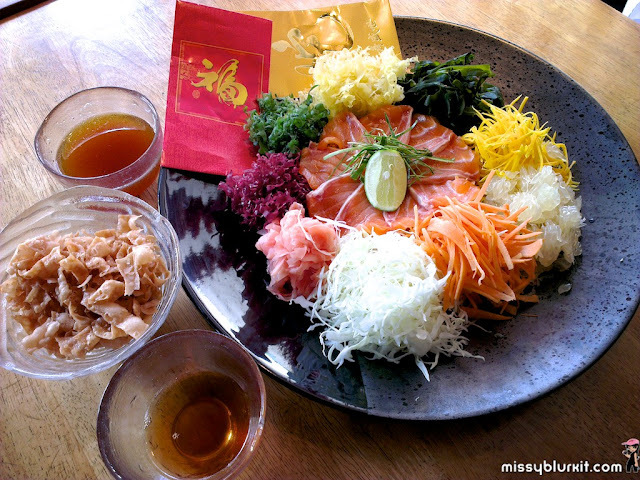 Traditional plum sauce lover can try the Yee Sang with Norwegian Salmon, served with traditional Plum Sauce. Yee Sang with Young Jelly Fish served with Apple Plum if you love a crunchy bite. 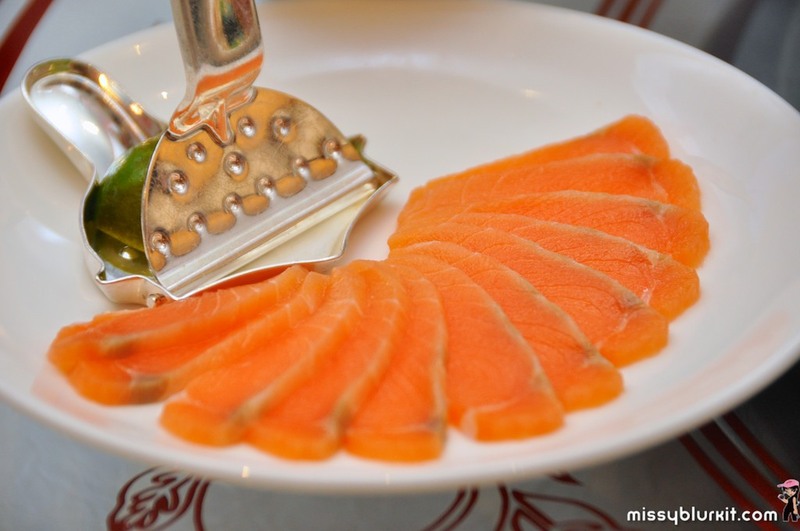 Omega 6 rich salmon slices. 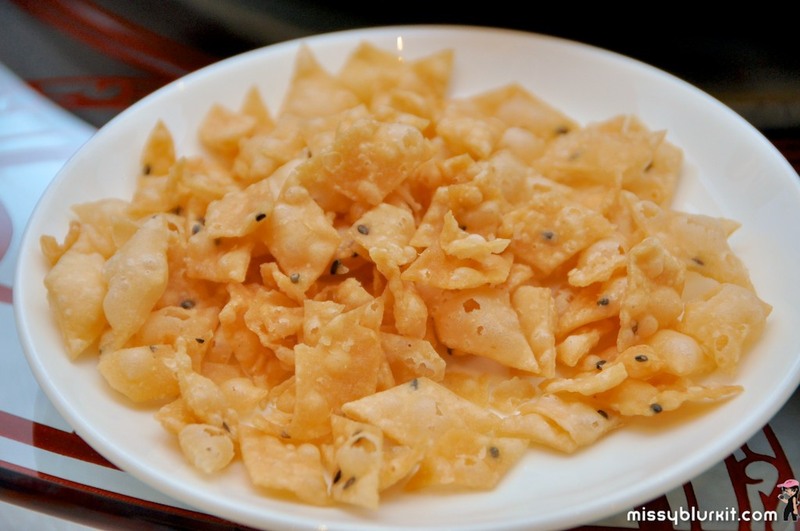 In house made crisp or pok choi with sesame seed. Pour mango plum sauce, pepper, oil and five spice powder over the ingredients. Remember to mention all the auspicious blessings. I am quite a dope with this and after 14 yee sangs this year, I still can't recall them all except they sound really flowery and nice. Now its time to toss it high. 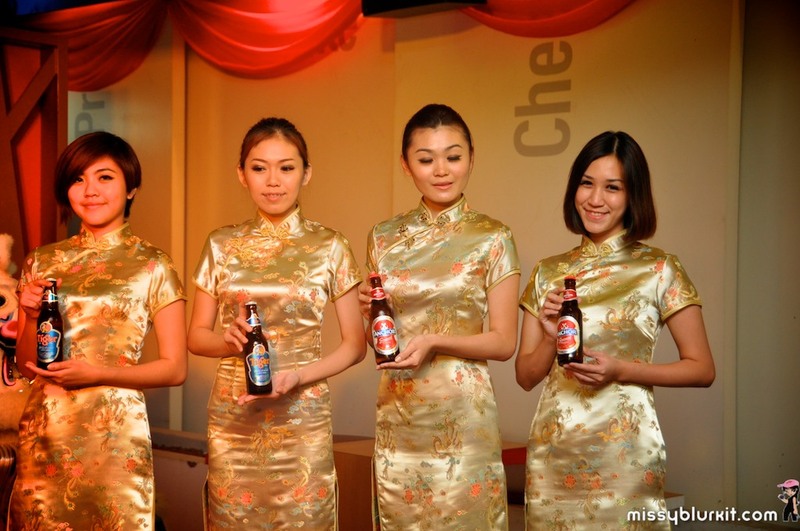 Mix them well and let the blessings flow in this year of the water snake. Nom Nom Nom. 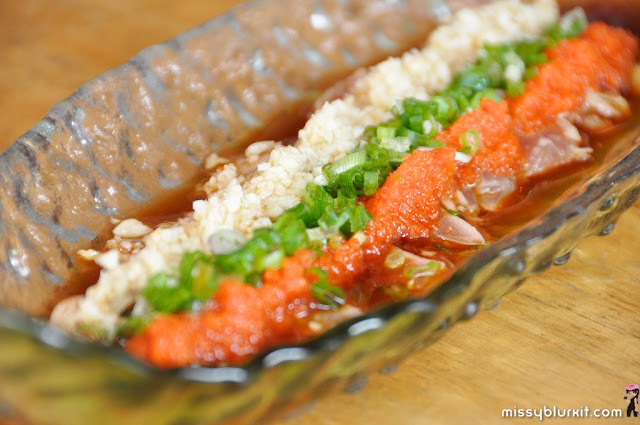 Juicy and you will love the lovely burst of flavours from the roe and sesame seed that goes well with the sour plum sauce and little diced mangoes. In a glance, it may look like another braised vegetable seen commonly on a CNY meal. 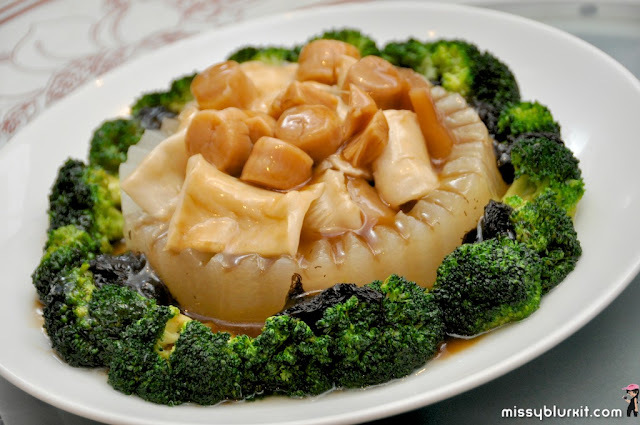 Celestial Court whips the braised dish with a twist with Braised Assorted Dried Seafood and Sea Moss served in Winter Melon. 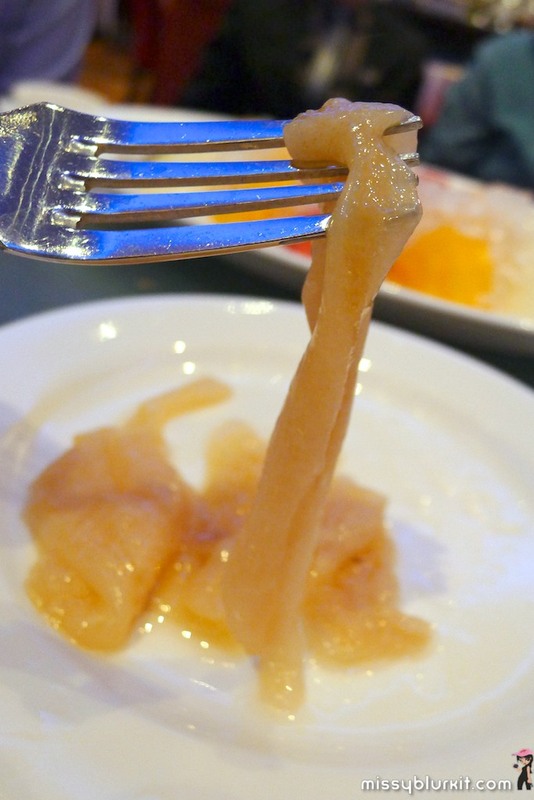 Love the refreshing and juicy winter melon that contains the seafood. Customary to have chicken. 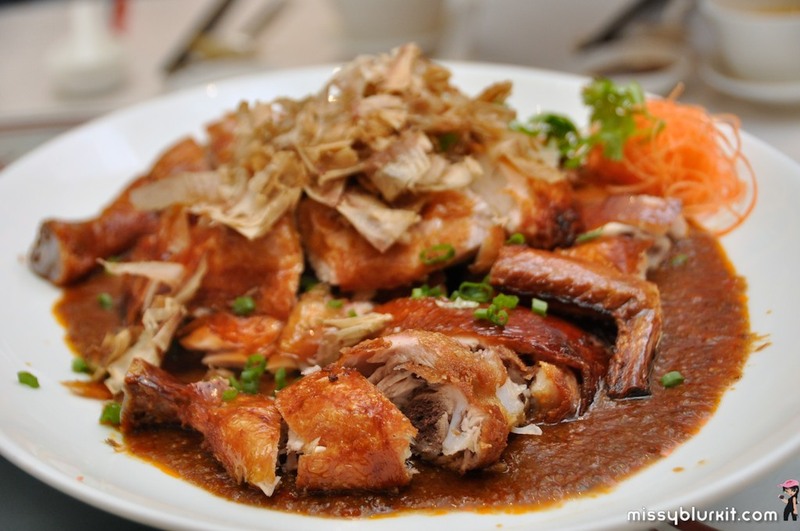 The Roasted Chicken with Ginger, Garlic and Spicy Sauce may seem a tad fusion with some spiciness and bonito flakes but its certanly one of the more memorable chicken dishes for 2013. The chicken is tender inside perfect with its crispy skin made possible by roasting the chicken and then frying it briefly. 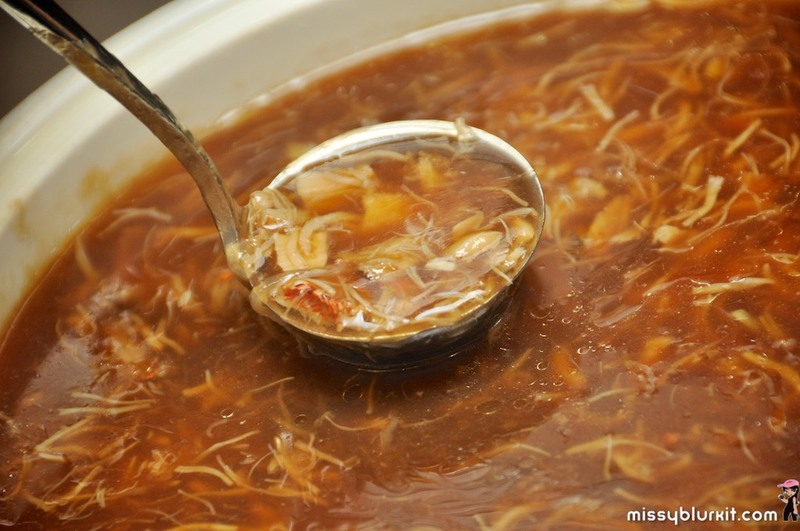 Sauce has a slightly spicy taste to it which is perfect for our Malaysian tastebuds. Another interesting vegetable dish at Celestial Court is the Wok Fried Assorted Seafood with Macadamia Nut Served in a Nest. A must have if you love seafood and nuts. Succulent fish, prawns and my all time favourite scallops with a slightly crunchy carrots and celery. Yums! 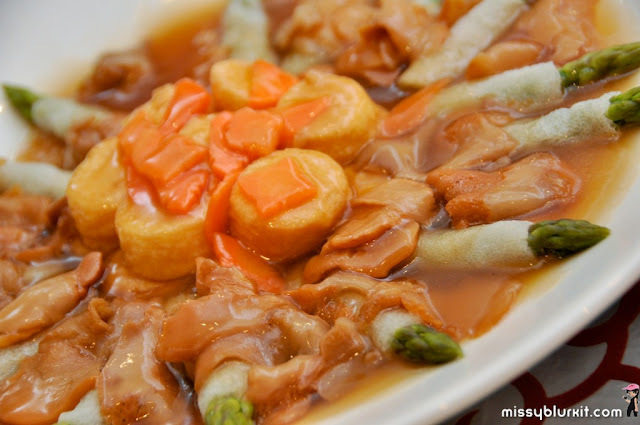 Our dinner remains nice and healthy with the Braised Yu Fungus, Bamboo Pith with Australian Asparagus and Japanese Bean Curd. 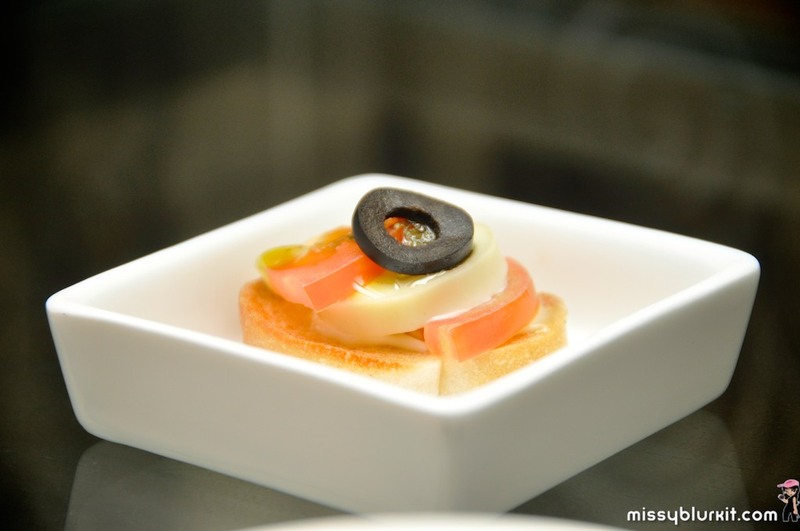 Love the golden hue of this dish. 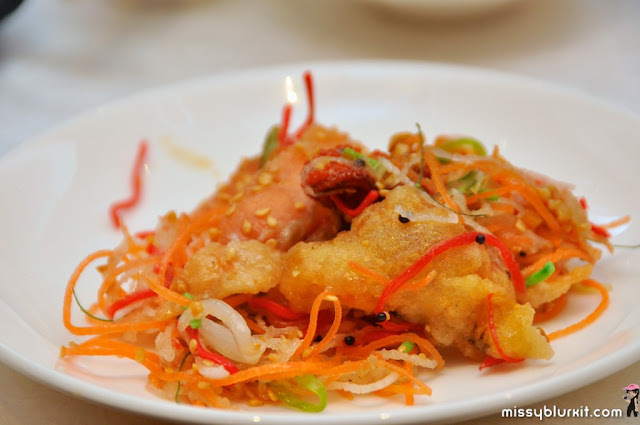 Some dishes which I tried from the ala carte menu in November (entry dated 29th November 2013) is also featured in the CNY menu. 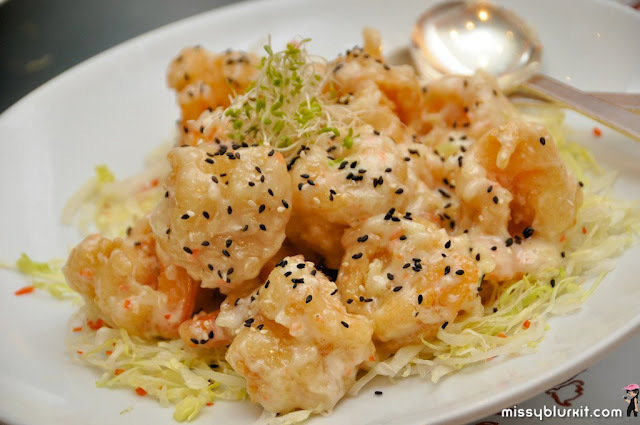 The Crispy King Prawn is crunchy outside and firm inside with a lovely creamy sauce to accompany with lovely flavours of minced nutmeg and sesame. 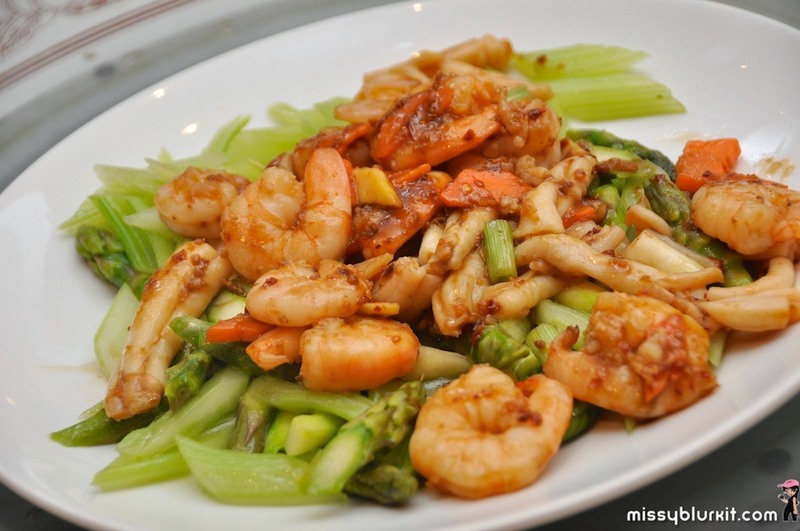 The Sauteed Osmanthus Clam, Shrimps with XO Sauce and Garden Greens is a spicy dish. Absolutely love the combination of ingredients but most interestingly is the Osmanthus Clam isn't a clam as its name suggest. Its actually the intestines of the sea cucumber but certainly tasted like a nice firm clam - my first time eating sea cucumber's intestines. The above dishes are from the CNY ala carte menu and are priced from RM38++. Alternatively, diners can take their pick from 3 Prosperity 9-course set menus priced between RM1,499 to RM1,988++ for a table of 10 persons. All the set menus are inclusive of a complimentary bottle of wine. The set menus are available until 24th February 2013. 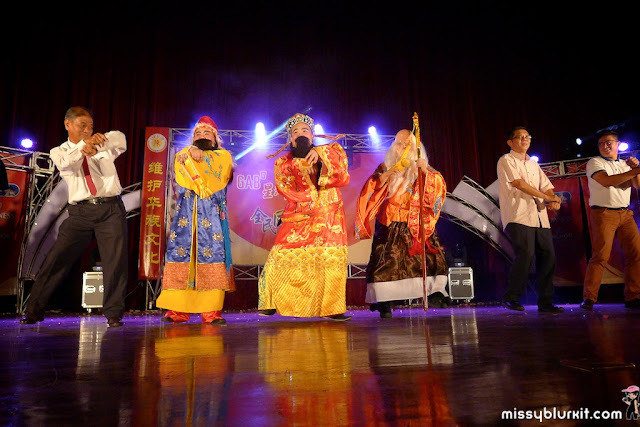 Note that Celestial Court will be closed on the first and second day of Chinese New Year. A lil story on the sea cucumber's intestines. I was very curious and requested that chef show us the raw intestines. Read up a little about it and learnt that the sea cucumber actually expels its intestines as a self defense mechanism. However, this does not kill the sea cucumber as it is able to regenerate its organs back within a few weeks. The idea of expelling its organs or intestines is to distract predators with the offering of a small meal that probably works with smaller predators. 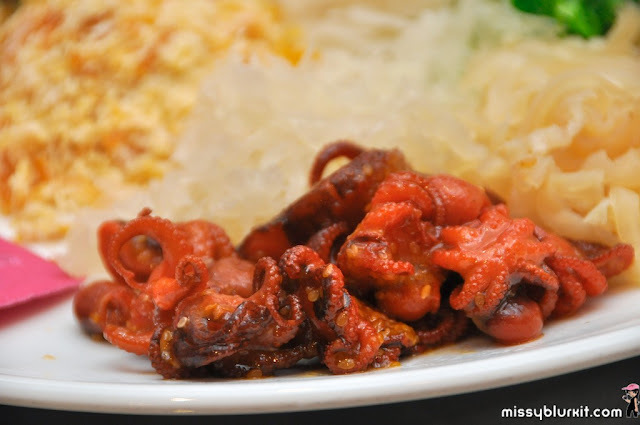 This dish of sea cucumber's intestines is apparently popular in Hong Kong! 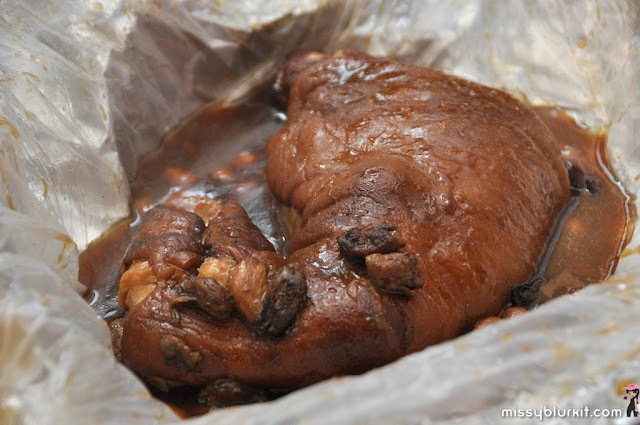 Looks a tad yucky... smells a tad yucky too when its raw. So I will happily prefer it cooked. Late lunch adventure leads us to Yashiki Yakitori and Bar in Viva Home Mall. Both the indoor and outdoor sitting looks equally inviting. Opted outdoors since we had enough of the freezing AC at client's office. Since its approaching CNY, we took the opportunity to savour more yee sang. Yakitori's yee sang arepriced between RM38+ to RM78+ for 3 to 4 persons. 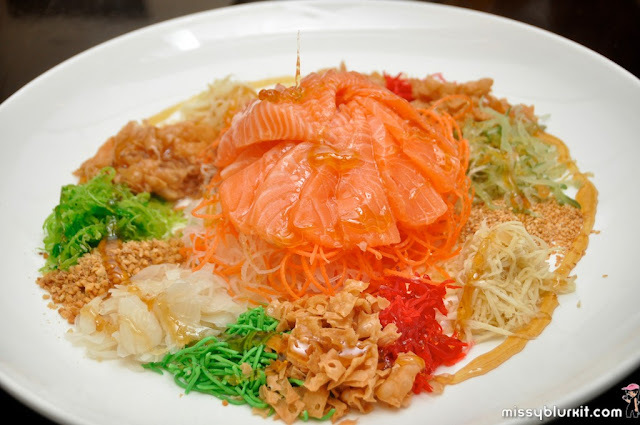 Choose from vegetarian, jellyfish, salmon, soft shell crab or Prosperity Yee Sang with 3 kinds of sashimi and jelly fsh. 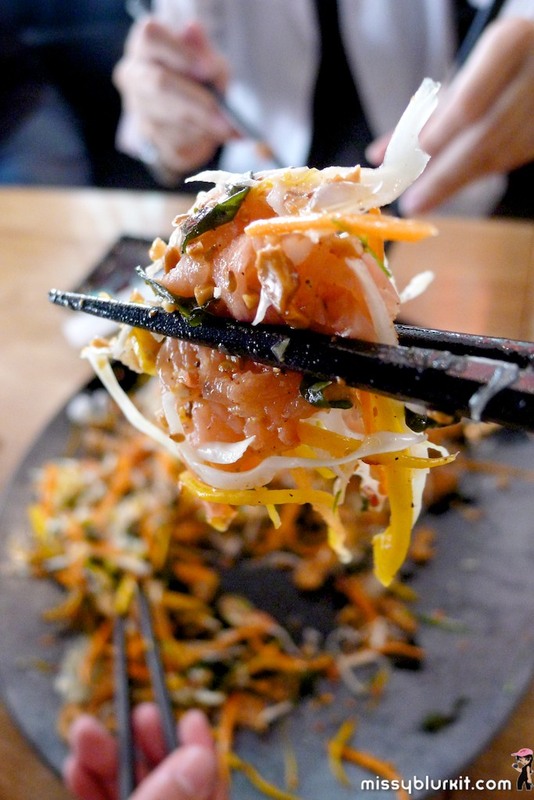 We opted for the salmon yee sang @ RM78+. 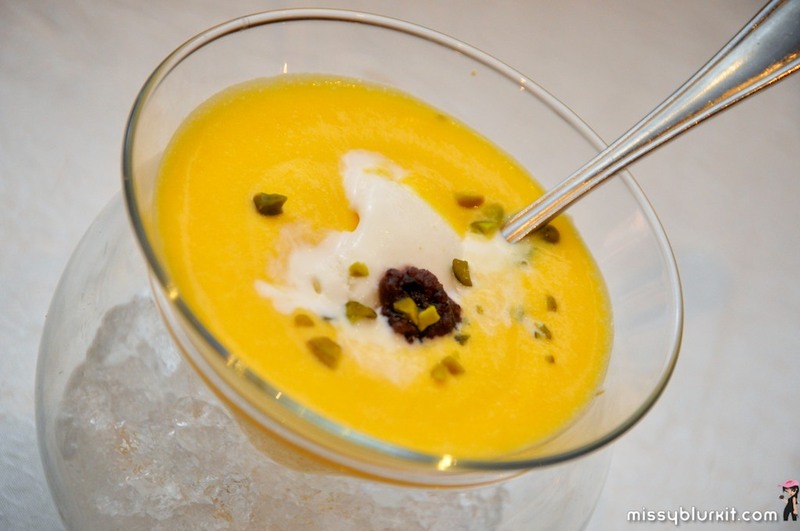 Love the freshness of the ingredients including carrots, pumpkin, seaweed, radish and of course succulent sweet pomelos. Toss it high. Toss it well. And I toss a thick slice of salmon sashimi! 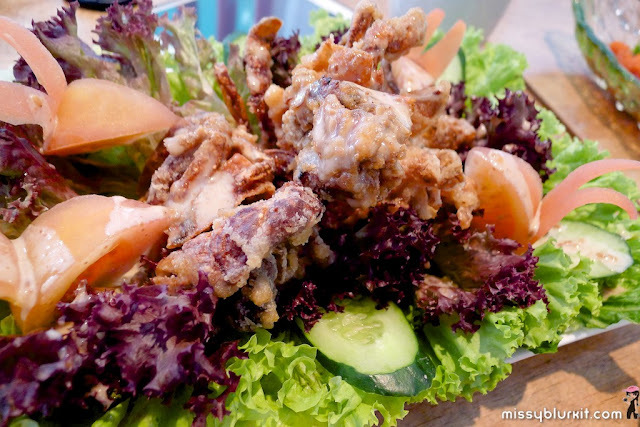 Yee sang is a salad but there's no stopping us from ordering the Soft Shell Crab Salad @ RM12. 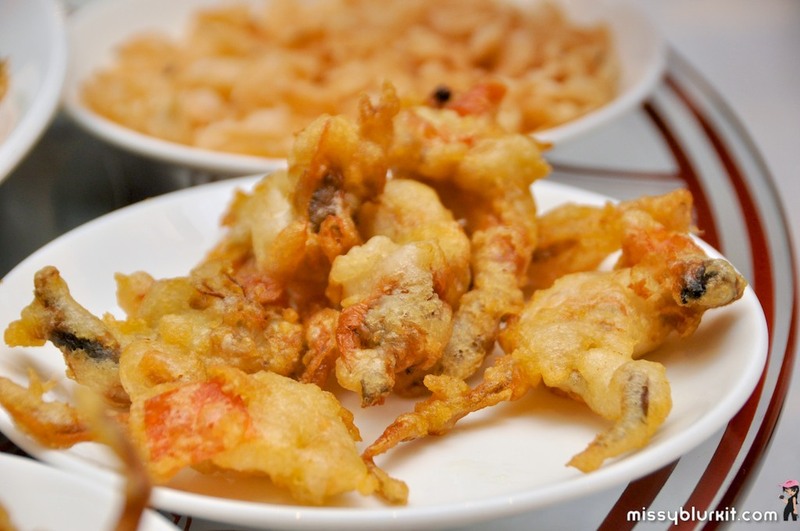 No harm eating more vegetables especially when it comes with a generous topping of soft shell crabs. One of my must have for most of my Japanese meals is also Tuna Tataki. Yashiki's Tuna Tataki @ RM16 is a a pretty dish of seared tuna served with a citrus sauce and topped with radish. In case you're wondering, the orangey coloured topping is actually radish mixed with Japanese chili paste which gives a subtle spicy after taste. 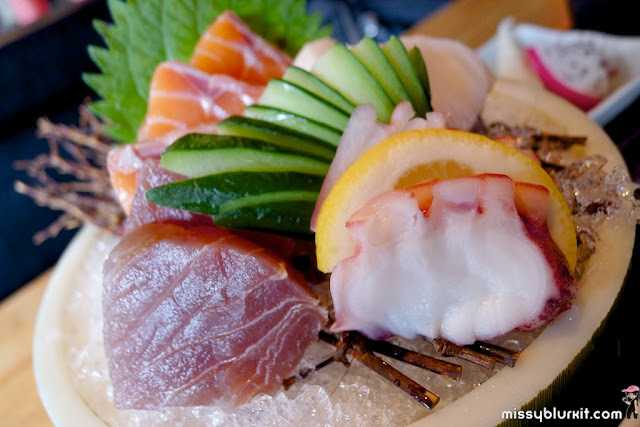 I was quite surprised that Yashiki serves up quite a selection of sashimi and sushi dishes too contrary to its name that suggest yakitori only. Nigiri Sushi is available in 5 or 8 pieces and the chef whips out whatever he has that os fresh and suitable for a good sushi meal. We opted for 8 pieces of sushi for RM68. A lovely selection of lovely toppings. 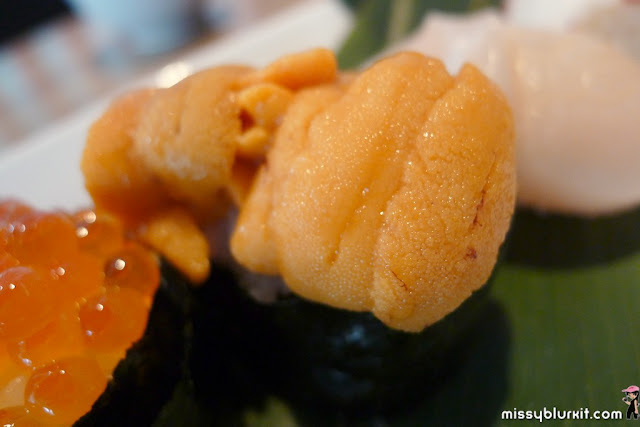 This piece of Hokkaido Uni or sea urchin is obviously mine! 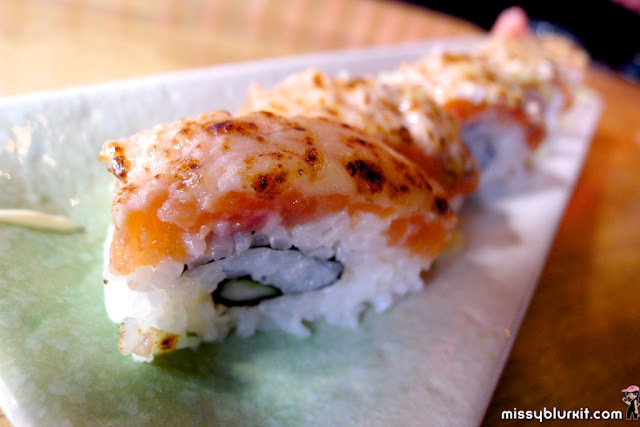 The hubster loved the Salmon Cheese Oshizushi @ RM28. I suspect its because of the creamy and savoury cheese. Late lunch at 4pm obviously means that I can chow down a lot more than my usual meal. 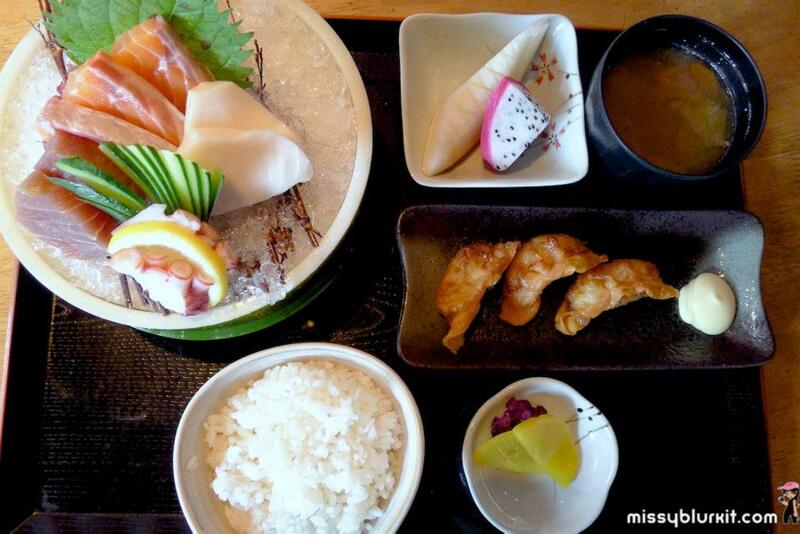 Value for money is the Mixed Kushi @ RM26 with 5 kinds of chef selection sashimi, rice, soup (porky soup! ), fruits, pickles and fried gyoza. Everything was perfect except for the gyoza that was a lil too deep fried for my personal liking. 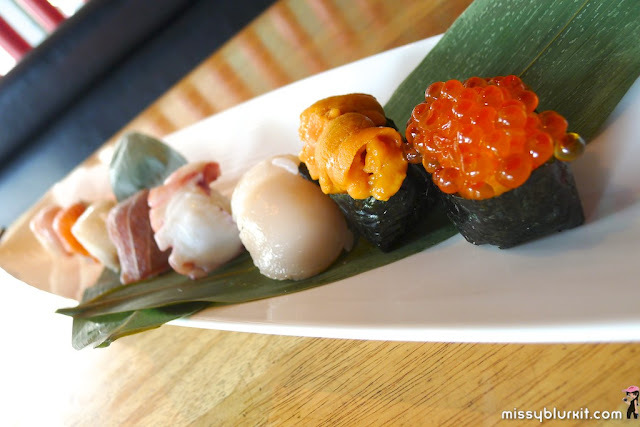 5 types of thick cut sashimi from my Mixed Kushi. More fishy goodness in our favourite snack at many Japanese restaurants would be the grilled salmon head. 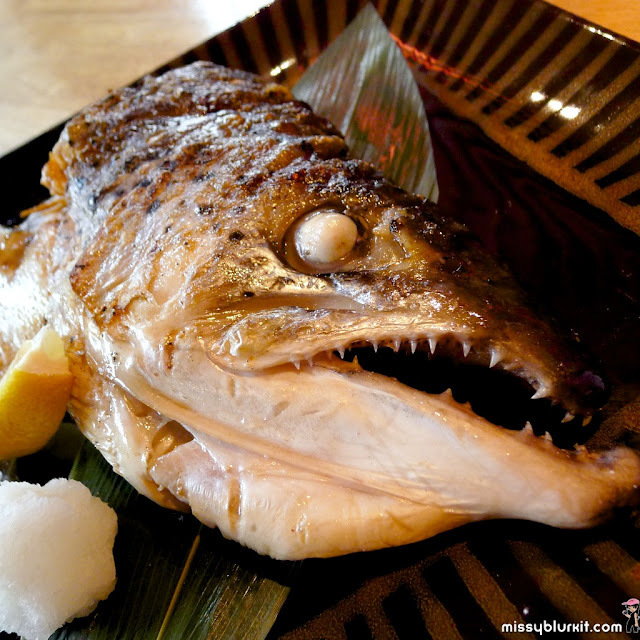 The Shake Atama @ RM25 is perhaps one of the better grilled salmon heads that we have had in the last few months. Not overly salty with a crispy skin and perfectly moist flesh. In normal circumstances we would normally order one portion for each of us but we had to save some sapce for the porky goodness to come. 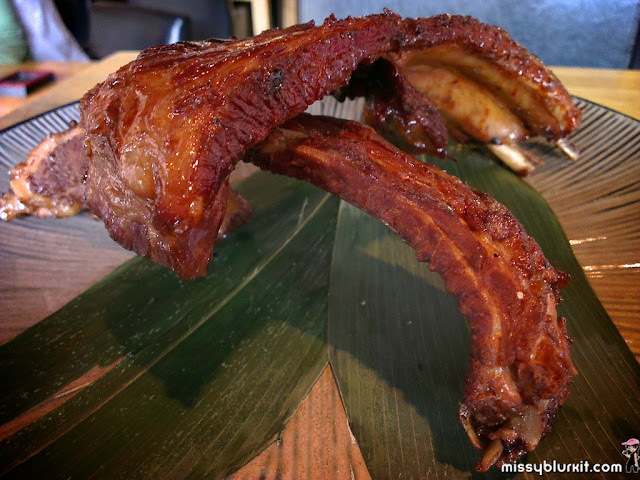 Yashiki serves Sakura pork which is imported pork with zero antibitotics and this certainly makes a difference in the overall taste and texture. 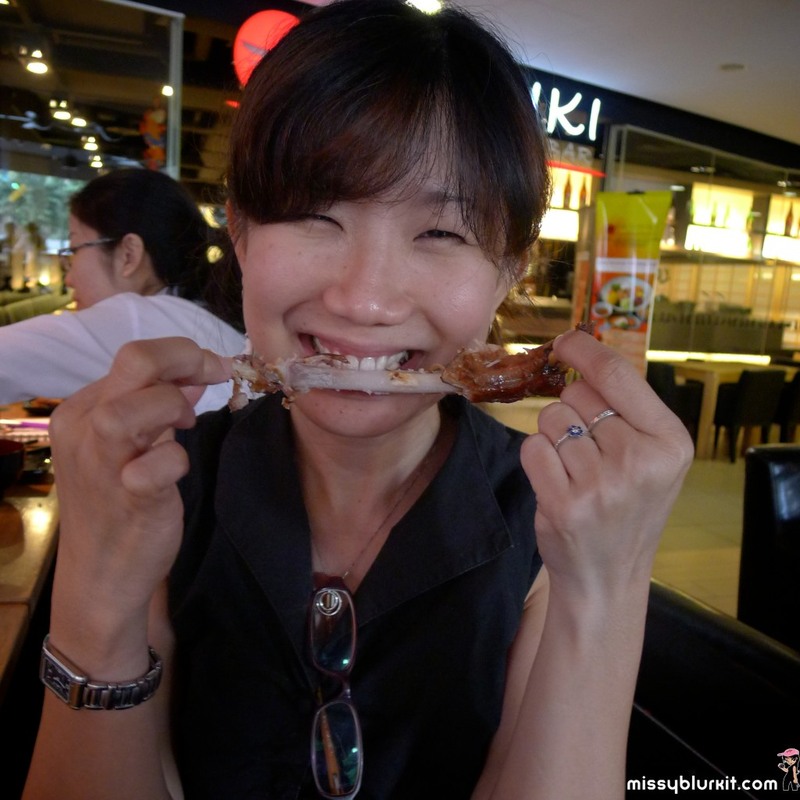 And running till the end of January 2013 is the promotion of Grilled Baby Pork Ribs @ RM42+ for 3 pieces and RM78+ for 6 pieces. Too good to be resisted, I happily ate one before I remembered that I wanted to take pictures:D Flavourful and utterly tender that it just falls off the bone. Screw the table manners...dig in with your hands. Its finger licking good to the very bone. 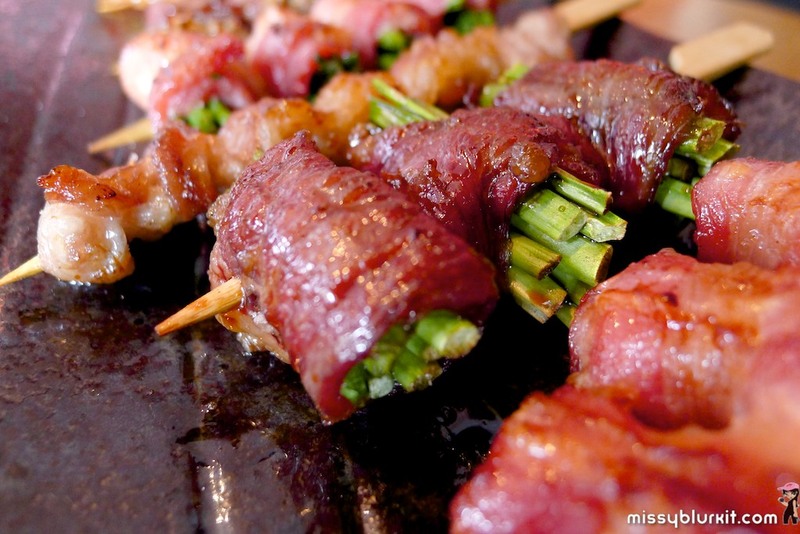 Yashiki is famed for its Kushiyaki. If I had been there for dinner, I will gladly order some beer and sake to go with my lovely sticks but we skipped the alcohol since we're scheduled to be back at he drawing board with the clients after our meal. 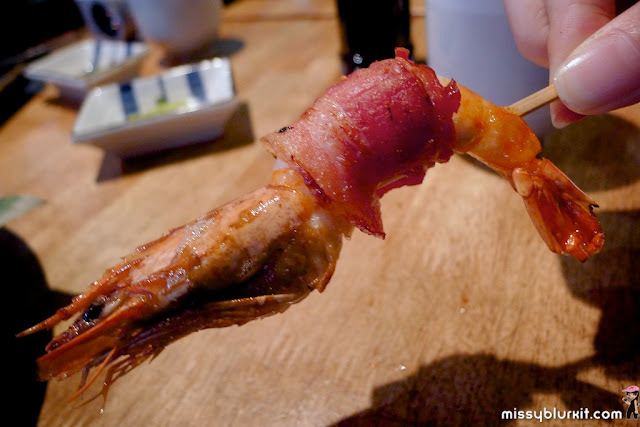 The bacon with white prawn RM8 seems a lil expensive but mind you its worth every cent with the lovely flavours of bacon that somehow made its way into prawn! 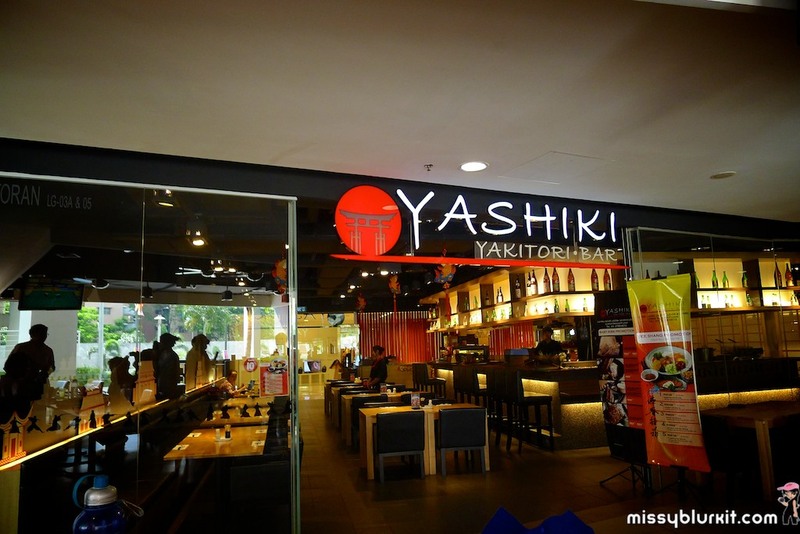 Yashiki Yakitori is a Moola partner which means that my meal here gives me a 10% cash back to my Moola account which I can utilise to pay for my meals at any Moola partners. Grab your Moola membership for free! Amy and Nick? Amy and Joe?